You don't need a passport to host your wedding in one of the most breathtaking beach destinations. 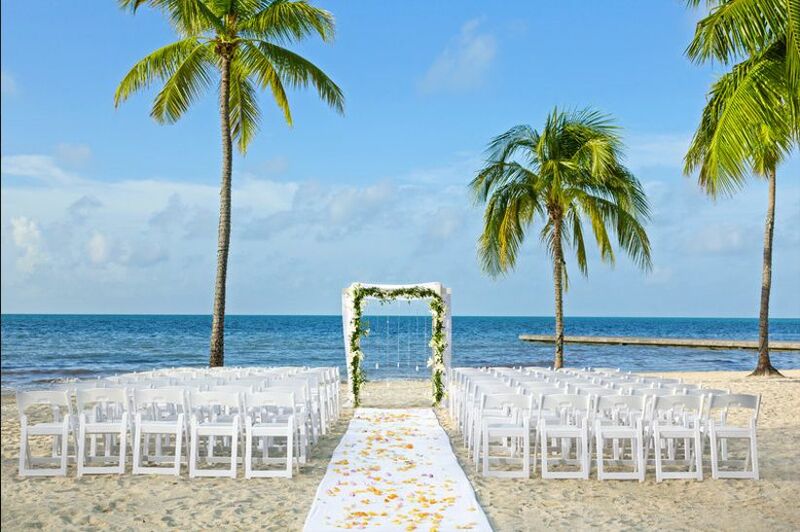 Here are some of our favorite Florida Keys destination wedding venues. To have a vacation-like wedding, you don’t have to pull out your passport. 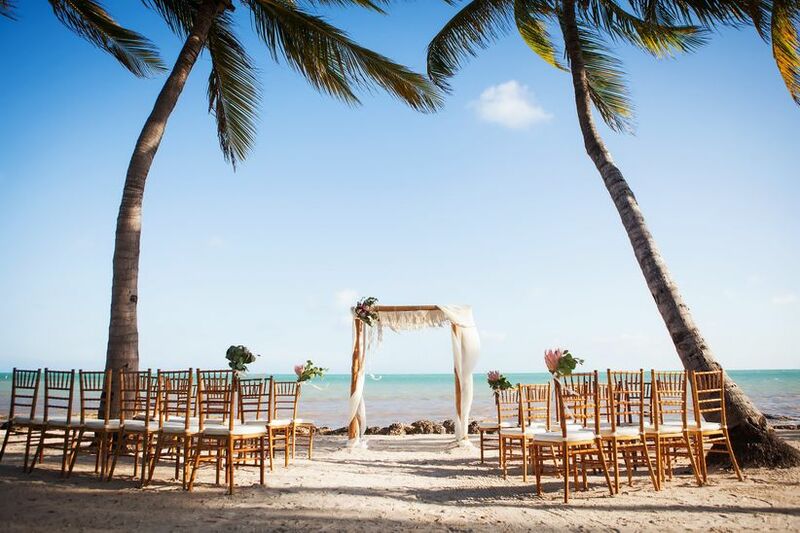 Especially if you crave the beauty of the sunshine, bright blue skies, and miles of white sand, a Florida Keys destination wedding is among the most picturesque in the country for beach-loving engaged couples. Setting itself apart from other hot spots in the state, like Miami or Orlando, this area is known for its mesmerizing string of tropical islands that encompass 12 miles between the Atlantic Ocean and the Gulf of Mexico. From Key West to teeny-tiny spots that freckle the ‘sea’-through waters, you (and your guests) will fall in love with the coastal sunsets and natural beauty. Here, a guide to saying ‘I do’ with a Florida Keys destination wedding. 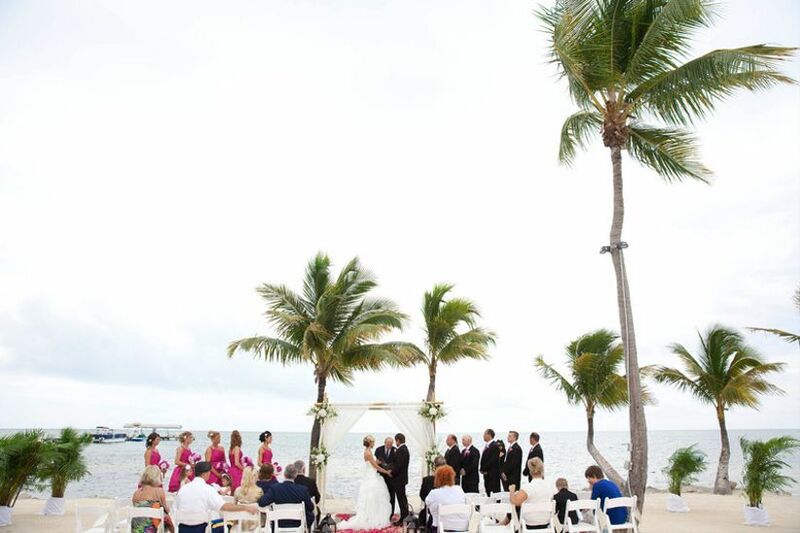 When you’re planning a Florida Keys destination wedding, it’s important to be mindful of the seasons. 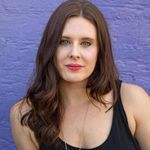 Though thanks to its geographical position, it’s warm and sunny year-round, budget-conscious duos should be mindful to avoid peak tourism months to save some cold-earned cash. Though early spring to midsummer is the most popular for weddings, if you choose a late summer to early fall date, you’ll reap off-season prices. Remember to be mindful of hurricanes, since they do run through this region of the Caribbean. If you’re an American citizen, you don’t need to be a resident of Florida to get hitched, but you do need to obtain a marriage license to make it official. It’s valid for sixty days after you issue, and you’ll need a photo identification and a social security card to apply. The fee is just under $100, and couples of any sexual orientation or welcome to wed.
Key West’s largest private beach welcome starry-eyed couples to host a Florida Keys destination wedding on a sprawling tropical garden at Casa Marina. As a Waldorf-Astoria property, you can expect a five-star affair, complete with indoor and outdoor options, an impressive culinary menu and other surprising touches. Like what? A glimpse into history, since the resort features a ballroom built by pioneer Henry Flagler in the 1920s. If you choose to make a vacay out of your big day, guests will enjoy sand-sculpting workshops, jet ski rentals, rum tastings and other adventures. Once everyone has flown back home, newlyweds can enjoy the romance cabana package that includes oceanfront spa treatments, chocolate-covered strawberries and more. Locate smack-dab in between Key Largo and Key West is Islamorada, home to the dreamy Moorings Village. As a former coconut plantation with one of the largest private white-sand beaches in the region, this 18-villa property gives couples a bit of privacy, plenty of romance and all of the bells-and-whistles. Most couples will choose to buy-out the entire property, taking advantage of the family feel to celebrate their big days. As you plan your reception and ceremony, you’ll be amazed at the coconut trees, pretty blooms and gorgeous, purple-orange sunsets. With two restaurants nearby, you can choose between a sit-down or buffet, an outdoor party or an indoor one, depending on your preference. A big favorite here is a candlelit ceremonies for night-owl twosomes. It’s been named one of the 500 greatest hotels in the world—and for good reason. 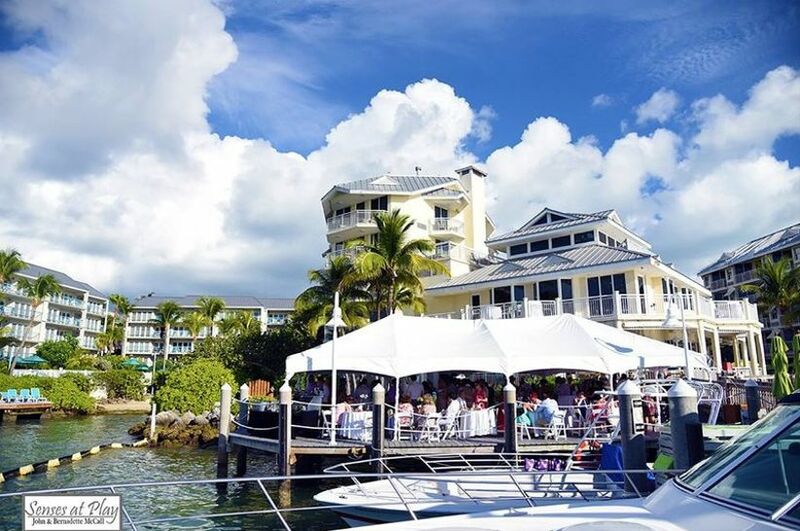 Cheeca Lodge & Spa provides an unforgettable Florida Keys destination wedding location, featuring a warm breeze off the Atlantic Ocean and indoor and outdoor options, a plenty. Whether you decide to have a barefoot ceremony as the sun sets into the sea or an indoor event in the Bougainvillea Ballroom, the hands-on team will ensure no detail is missed. Couples with large or small parties are welcome, with packages catering to 10-guest and 200-guest weddings. 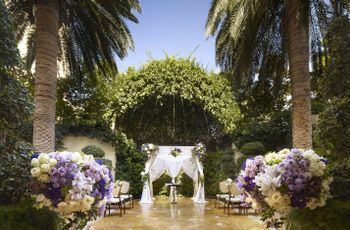 For a unique experience you haven’t had at other nuptials, consider getting hitched amongst the 1,100 feet of ‘leaning’ palm trees that are native to the area. Want to say ‘I do’ near the sand—but not on it? For a Florida Keys destination wedding, The Reach offers a beautiful solution: a gazebo jutting out over the Atlantic Ocean. Talk about Instagram worthy. 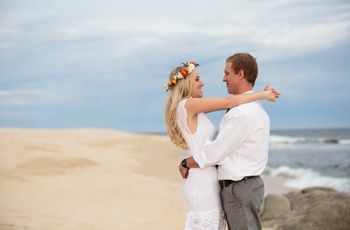 Once you’ve kissed at the altar, you can host your reception on the island’s largest natural sand beach, complete with a personalized sand sculpture for your once-in-a-lifetime affair. As a bonus for couples with dogs, this resort is pup-friendly! In fact, if you want your best friend to be an integral part of your ceremony and reception, the onsite team is happy to arrange a dog wedding menu with treats and entrees, as well as a viewing area with a sitter. Woof! You have your something borrowed, your something new—and let the jaw-dropping ocean at the Southernmost Beach Resort be your something blue. They can host up to 150 guests on the beach overlooking the Atlantic or inside, if that’s your jam. No matter your wish or party size, they feature an onsite caterer, personal wedding coordinator and other helpful surprises along the way. 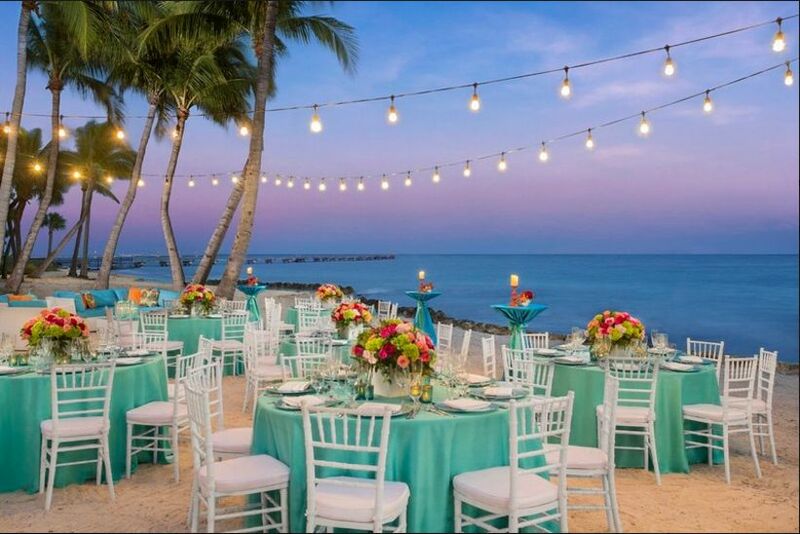 If you’d like to encourage guests to make a trip out of your Florida Keys destination wedding, a wide variety of nightly rates with their 260+ rooms makes it affordable for any budget. 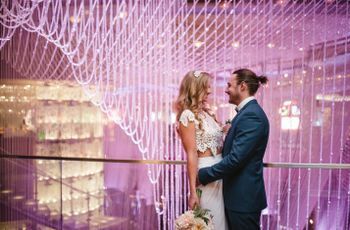 If you want the convenience of a resort but the vibe of a bed and breakfast, we’ve found your wedding location! At Sunset Key Cottages, you’ll feel as if you’re living in a home, with countless cottages to choose from, but nearby are the sprawling amenities you’d expect from a resort. With one to three bedroom homes, your family and friends will find the ideal size for their plus-ones, all of which are close to the shore. As a Westin Resort, you can expect high-quality everything, as well as the seclusion you seek out of this special, personal day. Whether you exchange vows on the sand or indoors, every backdrop will light up the love felt in the room. Much like you and your future spouse are the perfect mix of two worlds, so is the Hyatt Centric Key West Resort & Spa that’s just-the-right-size. Though it’s much smaller than a mega resort, it still can host a wedding up to 83 people. The idea here is that it’s somewhere in between boutique and big box, giving you the opportunity to create the experience you crave. Since it is under the Hyatt umbrella, you can also enjoy the perks of the large company, including discounts and special honeymoon promotions, too. In the heart of Old Town Key West, right where the Gulf of Mexico brushes against Duval Street, this smaller venue might be ideal for your Florida Keys destination wedding. 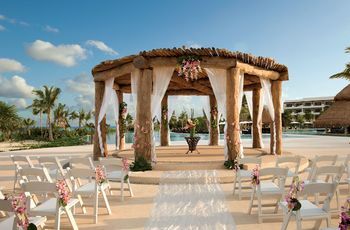 As a bit of a shift from traditional beach ceremonies, you can pick from outdoor terraces and a renovated ballroom, or a quaint private white sand beach. Though the Pier House Resort & Spa is not as grandiose as some properties, the charm of the spot will give a more relaxed feel to your wedding. Guests will have plenty to choose from for their extra days by the ocean, with four restaurants and bars—including a cafe with a view and another catered to the legendary Jimmy Buffett.